It’s been a hectic few weeks for the world of football what with World Cup draws, Champions League draws, managerial sackings and some major upsets in the EPL. It’s been manic too for football product. Recent releases have included the Nike Total 90 Laser III, the match ball for the 2010 World Cup, the Jabulani from adidas, plus the last big adidas boot release of the year, the Predator_X. As you would have expected, we have covered all these stories on Footy Boots, but we now can take a look at them from a slightly different angle. With help from Greeny and Sully, two new additions to the team at HQ, Footy Boots has produced the first in what we hope will be a long line of video shows. Watch below as the two boys get up close with both sets of football boots and the World Cup ball. 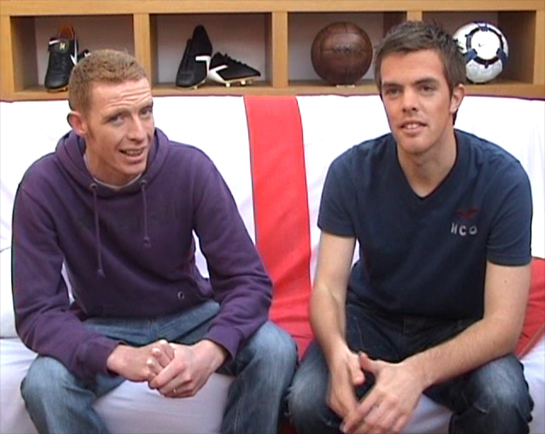 https://www.youtube.com/watch?v=E48RZb4Q8TAGoing forward, we plan to make the Footy Boots Show a regular feature so naturally, we’d love to hear any suggestions you might have. Previous articleFOOTY BOOTS DEBATE: WERE CITY RIGHT TO SACK HUGHES? Wow thats great. I’d like to test the new Jabulani ball… When is the next video comming ? 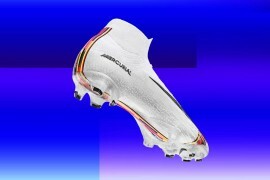 Liking that – Footy Boots pushing out the boat or what! Like it guys. How about a straight on comparison video on balls. Like the nike premier league ball against the adi world cup ball? really cool, but just a suggestion, TURN DOWN THE MUSIC! another question is comparing old boots against new one. like it, like it! Gotta say that greeny looks a lot like David Moyes!!! I would like to test it very very much. nice vid, i think the boots are ugly though! what about a vid on budget, affordable and expensive boots? liked the look of both boots but think i might get some funny looks if i rocked up down the park in a green pair so adidas simple black for me! definitely think getting in some testers to test the boots then been interviewed and reviewed by the boys on the sofa – kids always work well and you get an honest opinion! Good work and look forward to the next one! liked both boots but for me its plain black adidas that look best – might get kicked a bit if i rocked up down the park in a green nike pair! definitely think getting some testers in to try out the products, then the boys can review them on the sofa – kids normally works well and you’ll get honest feedback! Good work, will wait for the next one! Very good video guys. 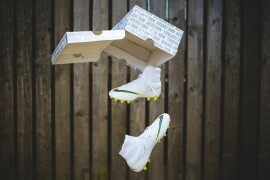 That is a must have boot, are we seeing the new lovejoys in the making! Great vid but the music came across as really loud. Cool video. Music was a little loud. Maybe for your next video you could spend a little more time on the field…almost review the boot while you’re having a kickabout? Great vid but music was a bit loud. 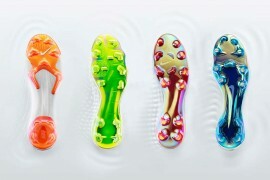 What about testing the Adidas Jabulani and the Nike T90 Ascente at the same time to compare. After all if we’re going to spend AU$150 on a ball we’ll want the best ball on the market-possibly even test the Mitre Revolve as well. How about testing the Puma v1.10, I’ve heard very little about it. Another idea is test some Nomis models while the world still can buy them. I don’t know if this is the same as how it is in Great Britain, but I’m a little uncomfortable with you guys sitting on the British Flag. Unless it’s just a decal and not a flag… then I guess I could be okay with it. But what’s wrong with just a simple leather couch? very entertaining, but turn down the music!! 2. can I be on the next show? and i have met both of the guys!!! and they are actually pretty decent themselves!!! The music was really loud and annoying. Turn it off please. Also, you need to be more detailed. All I heard about these boots were they were “great” and “thumbs up”. Good idea though. Actually i thin it is going to be a big hit, there should defiantly be actual give aways and people can review them for the show. There should be some funny clips form the weeks footy action, a celeb cross bar challenge, and lots of new stars showing their skills and boot collections. great show and useful to know what good boots are out there i will be looking into getting a pair myself!! think these boots will be a big hit. When is the next show coming out??? It would be easier to focus on what you say if you lowered the volume of the music, also having it sound less distracting (maybe something at a lower tempo or nothing at all would be fine). If possible find a place with a little less echo. 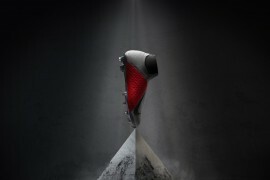 It would be great if you tried to display the main features of the boot you’re reviewing, such as trying a really curved shot with the predators and giving your opinions on if it works or if you like it. It would make it easier to hear the info on the ball, the two etc without the music. Could you give us any more advice as a consumer, than just great, or thumbs up! But still great obeservation and presentation of the boots, keep up the good work!